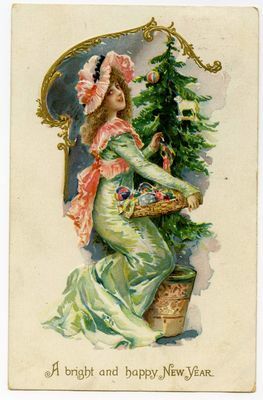 "Happy New Year Postcard "
A postcard wishing "A bright and happy New Year" to Maine author Miss Ethel Johnson. Raphael Tuck & Sons' New Year Post Cards Series No. 113, "Art Publishers to Their Majesties the King & Queen."